University of North Georgia (UNG) student Alaina Bailey takes a water sample at Buford dam as part of the UNG water lab program. Many Georgians have seen the state's red clay and its ability to turn rivers a bright red after a rainfall. Three University of North Georgia (UNG) programs are joining forces to solve the two-fold problem of soil erosion and polluted waterways. Dr. Justin Ellis, director of UNG’s Environmental Leadership Center (ELC) and a biology lecturer, explained that keeping the waterways free of sediment and bacteria from warm-blooded animals is important because north Georgia's rivers, lakes and streams supply the region with water for drinking, farming and recreation. "Millions of people drink the water from the Upper Chattahoochee River Basin," Ellis said. A potential solution to improve water quality and reduce pollutants lies with new collaborations between UNG's ELC water quality lab, the Institute for Environmental and Spatial Analysis (IESA) and Chestatee Restoration projects. 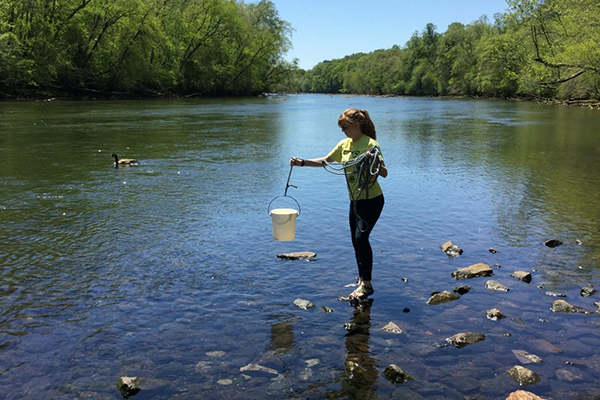 On the front end, the water lab has been sampling the water of the Upper Chattahoochee River Basin to find poor water quality spots for the past 30 years. Supervised by Ellis, UNG students test for several parameters and pay particular attention to two: bacteria from warm-blooded animals and soil sediment. "We ask if it is meeting the state’s standards of being clean and safe for fishing, swimming and drinking," Ellis said, adding bacteria in the water, such as E. coli, has the potential to cause intestinal illnesses in humans. Soil, or sediment, flowing into waterways also causes problems, said Dr. Sudhanshu Panda, a Geographic Information Systems and environmental science professor at UNG. It creates an environment rich in nitrogen, which leads to algae production. "When there is a lot of algae in the water, it stops the sunlight from passing through the water," he said, adding it slightly decreases the oxygen in the water. "And when the algae starts to decompose, it robs the water of more oxygen. With a lack of oxygen, aquatic animals’ survival becomes difficult." To find the places that contribute to soil erosion, IESA’s faculty and student experts use their geospatial models to pinpoint "hot spots" of vulnerability. Experts then go into the field to confirm them. When students and professors have a soil erosion vulnerability map, they can deploy a simple and inexpensive solution: mulch. "That material is one of the best and cheapest materials to restore bare clay soil and reduce soil erosion," Ellis said. "If you can place it on top of bare land, it can do amazing things." The mulch allows rainwater to soak into the ground instead of running across the soil and into waterways. Mulch then decomposes and releases nutrients into the soil. As soil organisms and plants take root, the land is restored. "If you can strategically place the mulch where the most sediment is leaving the landscape, then over a period of decades you can restore all of your most degraded land," Ellis said. He explained while mulch may run the risk of floating away on steep slopes, this can be prevented by dissipating concentrated flow. Panda said the added bonus is mulch is free in most counties. Ellis said Lumpkin County stockpiles mulch at its recycling facility on Red Oaks Flat. Dahlonega supplies free mulch and leaf compost (when available) at its City Shop. In Hall County, free mulch is available at its landfill in Gainesville. "Anytime there is a storm, the county goes out and cuts down trees and branches and makes wood chips," Panda said. "And then they just leave it out for residents or transport it to dumping locations for county residents to take if needed." The goal is to direct mulch to where it can do the most good, eliminating erosion and restoring ecosystems, Ellis said. He added UNG is using mulch as the cornerstone of its Chestatee Restoration Project. 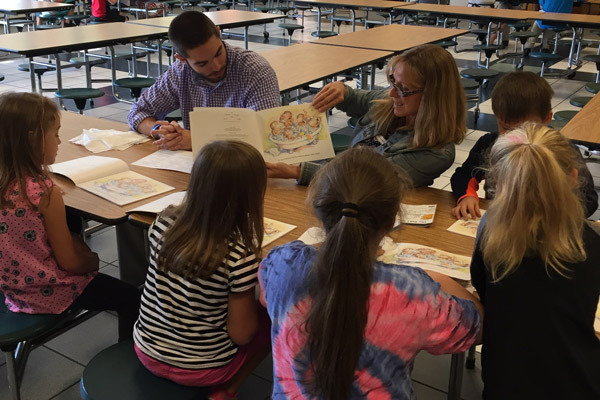 For more information, visit the ELC or IESA websites.